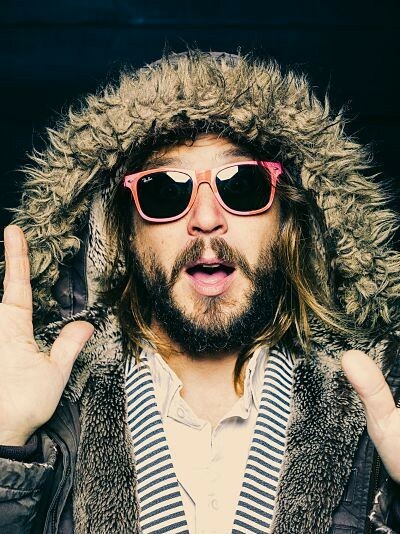 For nearly 20 years, Marco Benevento has been a key figure in the shaping of the New York music scene. His diligence has let him amass an arsenal of fantastic music that can only come from self-made artists. Last year, Benevento released the concept album "The Story of Fred Short" under his own label. His work was chosen to be featured in the Woodstock Sessions, a series of live recordings by standout artists. In front of a sold-out crowd, Benevento performed and recorded the entire Fred Short suite in one take. Recently, he has also been performing various Bowie covers. Stylistically, Marco’s music is eclectic and distinct. His tracks don’t clearly fit into the confines of any established genre, but he clearly takes inspiration from psychedelic, rock, and pop tunes. He has a tendency to electronically alter the raw sounds of his instruments, resulting in a sound that is hard to believe comes from a three-man band. The Story of Fred Short is easy to listen to without feeling ordinary, a combo that makes for some great live performances. You can listen to one of his 2016 tracks, “In The Afternoon Tomorrow" here. Marco and company will be at The Capitol on Tuesday, April 11. The show will consist of tracks from the recent Woodstock album and several other of Benevento’s best songs. He will be accompanied by Andy Borger on drums and Karina Rykman on bass. Borger has worked alongside Benevento since 2012. Benevento’s reputation as a top-notch live performer makes this one of spring’s most exciting shows.